The fabric canopy on the shelters fails to comply with a voluntary flammability standard, posing a fire hazard to consumers. Sunjoy toll-free at (866) 576-6569 Monday through Friday ET from 8:30 a.m. to 5:30 p.m. ET or online atwww.sunjoydirect.com and click on "Support" and then "Recall Notification" for more information. 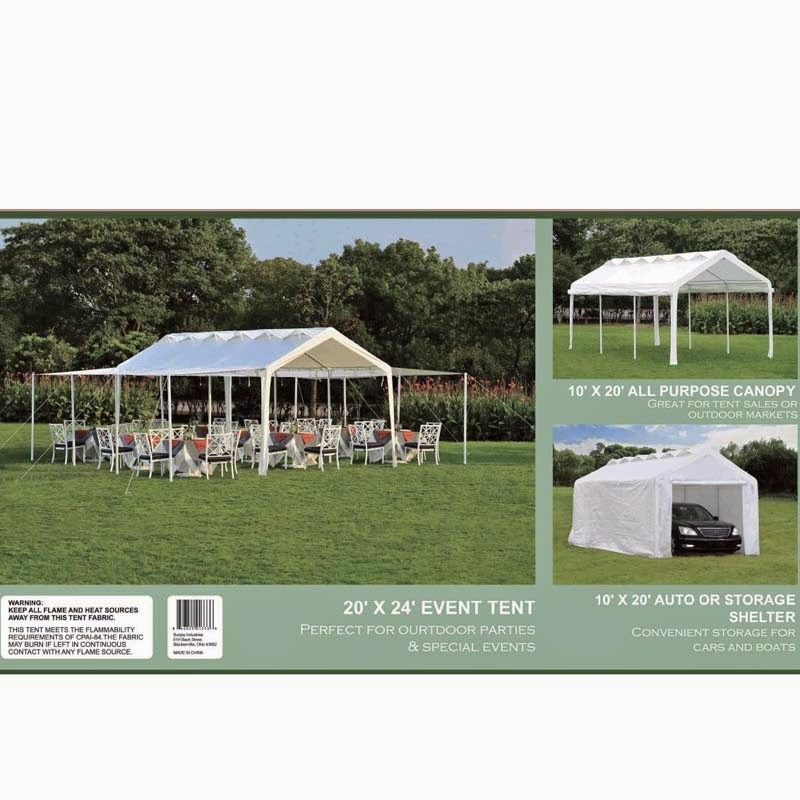 This recall includes the 10 ft. by 20 ft. multi-purpose shelter with “Code Number: L‑GZ761PST.” The code number is printed on a label sewn into the top of side panels of the canopy fabric. The fabric canopies are white and cover an area of about 20 ft. by 24 ft. “Sunjoy Industries” and “Made in China” are printed under the barcode label on the product packaging. Consumers should immediately remove the canopy from the shelter’s frame and store it in a safe place, away from any flame or other source of ignition and then contact Sunjoy Industries for instructions on how to return it for a replacement or full refund. All purchasers have been contacted by the firm. BJ's Wholesale Club stores in Northeastern states from January 2014 through June 2014 for about $300.